August is the month when rainfall begins to create magic in most of the places across the country. One can find the land to be refreshed with the frequent mild showers, but these showers would not generally be an obstacle for your holiday as they tend to be mild and of short durations. August is generally not a tourist season but still one can enjoy a lot in some of the destinations in the country. If you are planning go around in August, there are two good things about it. The first is the heavy discounts you would get as it is a lean tourist season and the second is the below-mentioned list of places which would be truly heaven on earth. Lahaul is a valley in the state of Himachal Pradesh. Like most places in Himachal, this place too offers its own share of adventure activities. Some of them are Yak safari, skiing and wildlife trekking. One would come across some of the most beautiful monasteries here which are refreshed by the August showers. The mountain passes and other major routes are generally closed during August and in winter. But, not to be disappointed as there are a lot of activities and attractions in Lahaul which would hold up for a number of days. The Islands are truly paradise whether there is rain or not. The white sandy beaches, warm lagoons, palm filled beaches and brilliant water sports would be more attractive with the spell of mild showers. The beauty of the place simply adds on during the month of August. As the place would be in its lean season you would not find many tourists. This would help you enjoy some alone time and relax oneself even in the busiest beaches. Extra happiness comes when you find out you can enjoy the facilities at a really low discounted price as it is the lean season. Located on the foothills of the Himalayan ranges in the state of Uttarakhand, Mussoorie is a place which would be very scenic in the month of August. If you are planning to come here in August, opt to travel by road from Dehradun. The road trip would be simply mesmerizing with all the sceneries and the cold climate. At Mussoorie, one would come across many natural attractions to enjoy which even includes waterfalls. The place has quite a number of temples and churches which would look livelier after the rainfall. Mahabaleshwar is one of the largest hill stations in the state of Maharashtra. The hilly retreat would transform itself to a green beauty, thanks to the rainfall. During the month of August, the place would receive mild showers and the place would be foggy. The foggy atmosphere makes it one of the most romantic holidays, you would like to have; one would not find a lot of tourist crowd here. Thus one could get good deals. Agumbe is one of the most beautiful trekking spots in the state of Karnataka. There are plenty of natural attractions here which include waterfalls, hills and much more. The major attraction during the month of August is visiting the ruins of the Hoysala Empire during sunset apart from enjoying the cascading waterfalls and trekking amidst mild showers. Cherrapunjee is the place which is considered as one the wettest places on earth as it receives rainfall throughout the year. August is the right time for moving across the place with less mess and also enjoying the monsoon trekking. Relish on the orange flower honey and tea here; one may not come across many flowers here during this month but it would ultimately transform itself into a blanket of green. Take a walk on the living root bridges and enjoy the showers of August. 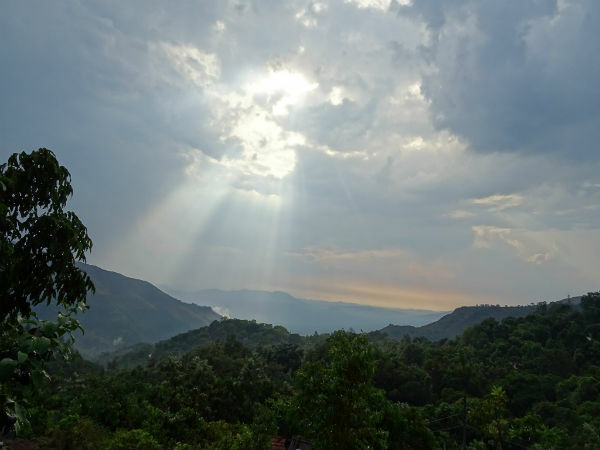 Known as the Scotland of India, Coorg is a hill station located in the state of Karnataka. Imagine the beauty this place can showcase with a slight shower. The hilly retreat has several scenic spots which would turn into a green cover, and you can find a number of seasonal waterfalls which you would find only during this time. Bikaner is one of the most well-known tourist destinations in Rajasthan. With the mild rainfall, the palaces here such as Junagarh and Gajner and the countless temples would give a wet appearance which add on to the beauty of the place. The temperatures at Bikaner are usually high, but with rainfall they drop and make it a pleasant one. Munnar is an important hill station in Kerala. No matter when you visit this hilly retreat, the place always is at its prime beauty. In the month of August, the tourist inflow is less and one can enjoy some peaceful and relaxing time amidst the rolling hills of tea plantations. Above all, the place would witness showers which transform the place into a romantic atmosphere which one would love to cherish. The princess of hill stations, Kodaikanal is a very popular hill station in the state of Tamil Nadu. One can find a lot of sightseeing spots here which would be breathtaking. Boating in the lake amidst the mild showers is truly an experience, apart from other attractions which are found in most of the hill stations across the country.